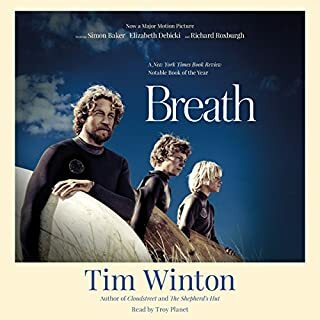 Breath, by renowned Australian author Tim Winton, is a story of risk, of learning one's limits by challenging death. On the wild, lonely coast of Western Australia, two thrill-seeking teenage boys fall under the spell of a veteran big-wave surfer named Sando. Their mentor urges them into a regiment of danger and challenge, and the boys test themselves and each other on storm swells and over shark-haunted reefs. The boys give no thought to what they could lose, or to the demons that drive their mentor on into ever-greater danger. Georgie Jutland is a mess. 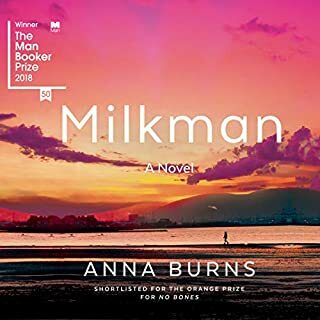 At 40, with her career in ruins, she finds herself stranded in White Point with a fisherman she doesn't love and two kids whose dead mother she can never replace. Her days have fallen into domestic tedium and social isolation. Her nights are a blur of vodka and pointless loitering in cyberspace. Leached of all confidence, Georgie has lost her way; she barely recognizes herself. Irene Bobs loves fast driving. Her husband is the best car salesman in southeastern Australia. Together they enter the Redex Trial, a brutal race around the ancient continent, over roads no car will ever quite survive. 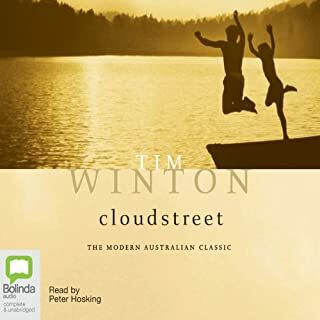 With them is their lanky, fair-haired navigator, Willie Bachhuber, a quiz show champion and failed schoolteacher who calls the turns and creeks crossings on a map that will remove them, without warning, from the white Australia they all know so well. This is a thrilling high-speed story that starts in one way and then takes you someplace else. It is often funny, more so as the world gets stranger, and always compelling, even as you learn a history these characters never knew themselves. For years, Jaxie Clackton has dreaded going home. His beloved mum is dead, and he wishes his dad was too, until one terrible moment leaves his life stripped to nothing. No-one ever told Jaxie Clackton to be careful what he wishes for. And so Jaxie runs. There's just one person in the world who understands him, but to reach her he'll have to cross the vast saltlands of Western Australia. 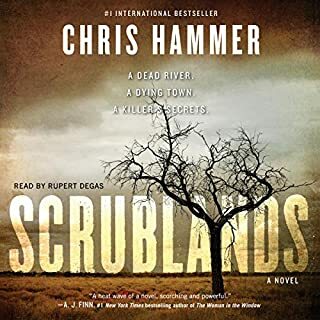 It is a place that harbours criminals and threatens to kill those who haven't reckoned with its hot, waterless vastness. This is a journey only a dreamer - or a fugitive - would attempt. 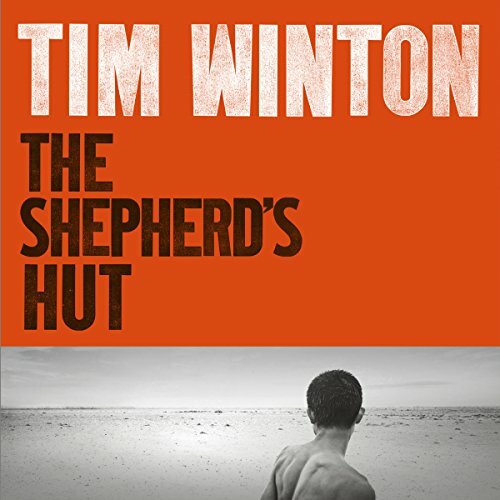 Fierce and lyrical, The Shepherd's Hut is a story of survival, solitude and unlikely friendship. Most of all it is about what it takes to keep hope alive in a parched and brutal world. a wonderful story that carries you along in the head of this abused and frightened lad. Winton does these adolescents so believably. I love the fact that it's read by a woman, i think a man would not sound right, she's got the tone perfect, and the soft irish accent of the priest sounds fine in her voice. one little plothole though, dear T W, surely everyone keeps their phone locked? left me wanting to read it in print immediately, and puzzling over what would happen to Jaxsie in the next few years. 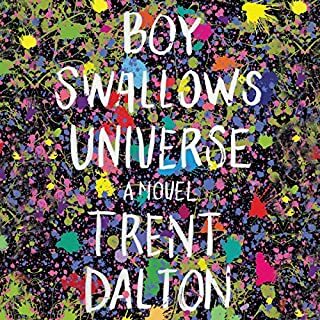 A beautifully written and raw portrayal of toxic masculinity and its long-lasting effects, and what it means to find ‘peace’. A true coming-of-age story set in the most brutal of environments. This book reminded me in chapters of some of the characters and places found in Springsteen’s most evocative work. The narrative flows wonderfully and you come to really enjoy the company of Jaxie. The narration is fantastic, perfectly capturing the Aussie vernacular allowing for full submersion. 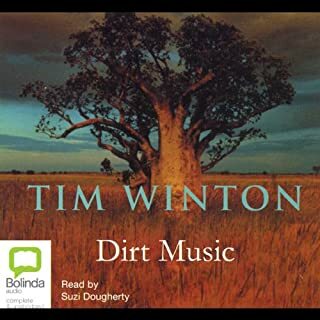 I Will be reading more Tim Winton that’s for certain. Didn't understand a female narrator cussing her head off. It sounded odd when the book is primarily an old man and a boy talking and what not. The story no beginning no end but very powerful in its depiction. Beautiful book told in 'Aussie' language, not a word was wasted. Although there was a lot of violence in this book, characters travelled a journey of discovery, from despair to enlightenment and hope. Emotions are laid bare constantly, and relationships are raw and deep.